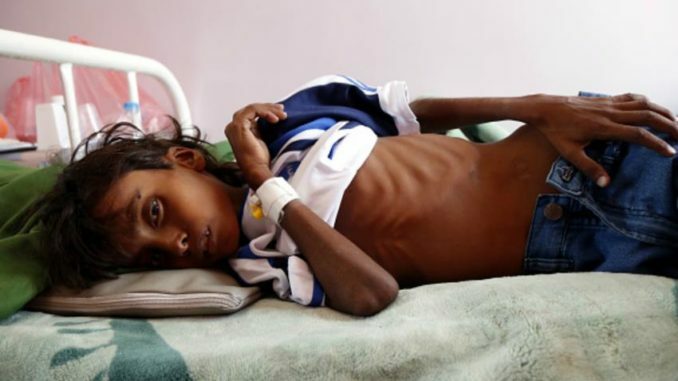 Thirty-five non-governmental organization have demanded an immediate end to hostilities in Yemen, warning that the Saudi-led coalition’s war against the country has put 14 million people on the verge of famine. The UN has also warned that Yemen is on brink of ‘world’s worst famine in 100 years‘ if airstrikes by the Saudi-led coalition continued. Press TV reports: The statement also called on the world to “secure an immediate cessation of hostilities” and “suspend the supply of arms at risk of being used in Yemen”.